That line in Ridley Scott’s acclaimed movie “Black Hawk Down” is holding true for one of the U.S. military’s most fabled special operators. 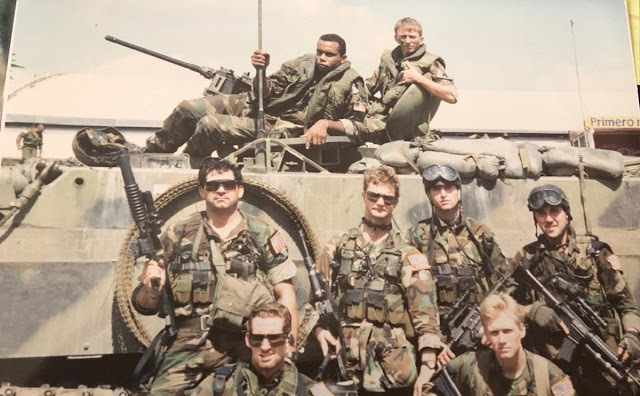 The real-life Delta Force operator who went by “Hoot,” and who was portrayed by Eric Bana in the movie, today fights a three-pronged enemy that continues to plague troops and veterans: post traumatic stress disorder, chronic pain and substance abuse. Almost 25 years after the infamous Battle of Mogadishu in Somalia, which led to the “Black Hawk Down” book and movie, retired Master Sgt. Norman Hooten is now Dr. Norman Hooten. Hooten is a full-time health care provider at the Orlando VA Medical Center. And he has first-hand experience with the effects of war, including a platoon sergeant he had known early in his career who died by suicide after struggling with PTSD and substance abuse.